There are two lasting bequests we can leave our children. One is roots. The other is wings. Parenting is the most important and rewarding job of our lives…and the only one we never prepare or train for! I work with parents of young children as they deal with temper tantrums and poor social skills to parents of teenagers who are dealing with turbulent teens [please refer to the section on Adolescent Counseling] The goals of our sessions is to come up with a 'Positive Parenting' strategy so that you feel more confident by learning practical, proven and modern parenting techniques to build stronger bonds and raise a confident, happy and responsible child! Apart from the exploring and learning, an important part would be the actual practice of what you have learnt and we will process that in our sessions, to ensure that it is working and you are seeing the changes. 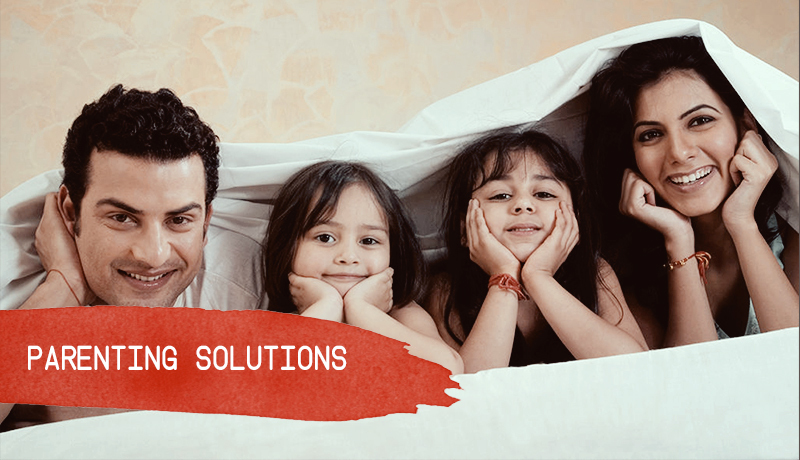 An integral part of Parenting Counseling is working with both the mother and father and understanding their own individual needs, parenting styles and marital relations, as these get reflected in their role as a parent. Learn positive ways to disciple your child, without screaming and hitting! Learn to communicate so that your child hears what you are saying! So, if you're looking for extra support and guidance through a challenging Parenting situation, I look forward to working with you and help you implement Positive Parenting practices in your home. Please call me at (+91) 9582800790, or email me at Aparna@lifeskillsexperts.com. We can discuss the options that might best work for you and agree on a course of action.